CORNWOOD gained revenge for their final-over defeat by Plymouth in last season’s Euro Shopper Devon Cup final with a 30-run win over the city side in this year’s first round. Teenage keeper-batsman Aaron Richards top scored with 65 for Cornwood in a total of 180 for nine, which looked a little on the low side in the 40-over competition. Plymouth seemed on course at 105 for three with 16 overs to go – then lost three wickets for 12 runs and started to wobble. Cornwood kept it tight with the ball and there was no way back for Plymouth, who dipped to 150 all out with nearly three overs to go. “Aaron Richards started the innings well and batted majority of the overs for a good innings,” said Cornwood captain Elliot Staddon. “We sped up at the end with some good batting by Ben Griffiths and felt with 180 we had a decent score to bowl at. “Plymouth started well and we knew we had to grab some early wickets. Richards played the anchorman role for Cornwood, batting for 123 minutes for his 65, which came off 100 balls and included seven boundaries. He was seventh out on 140 having shared stands of 24 for the second wicket with Jason Hall and a key one of 67 for the third with Steve Lambert (20). Ben Griffiths (20) towed the lower order along as Cornwood put on 40 in the last seven overs. Jack Hale (3-35) and Jake Luffman (3-26) were the pick of the Plymouth bowlers, although Clare Varcoe, Hal Kerton and Alfie Hagan-Burt all stayed below four an over. Plymouth got a cracking start with openers Hamish Gardiner (41) and Dan Moore (30) hoisting 75 in 15 overs for the first wicket. A mini-slump to 85 for three stopped with Jake Luffman (11) and Kerton (18) putting on 20. Hall (3-20) broke the stand and Plymouth went into a steady decline. Andy Bees (2-25) got among the wickets as the visitors lost their last four batters for just nine runs. Neither side was at full strength for the game and both gave youngsters a chance. Plymouth were probably hit a little bit harder, not that skipper Sam Stein wanted to make excuses. “It was always going to be difficult for us due to it being a bank holiday, Radio One’s “Big Weekend” in Devon being on and Argyle playing at Wembley,” said Stein. “All those who played put in an excellent performance and I couldn't be happier with their energy levels. “There were a few people who made their debuts and they put on a good show for everyone to see. They represented the club perfectly. Cornwood will be away to Sidmouth in the second round. Cornwood 180-9 (A Richards 65, S Lambert 20, B Griffiths 20; H Kerton 2-22, J Luffman 3-26, J Hale 3-26), Plymouth 150 (H Gardiner 41, D Moore 30; J Hall 3-20, A Bees 2-25, C James 2-31). PLYMSTOCK pulled off a mini-surprise in the first round with a 61-run win over visiting Barton. As Barton play in the next division up from Plymstock, the result bodes well for the Dean Cross club’s hoped-for promotion push this season. There is no getting away from one statistic in the game though – the 74 extras Barton gave away. Fifty-eight of those were wides, which was almost the winning margin on its own. Skipper Scott Mansfield top scored on 39 for Plymstock, going in at 38 for one and coming out at 136 for four. Seb Jordan (26) and Jason Williams (27) were next best with Plymtock benefiting from lots of double-figure scores down the order in a total of 241 all out. Tom Drake (3-27) and spinner Stuart Bowker (3-42) were Barton’s leading wicket takers. Jared Seiffert (0-29) bowled a tidy spell. Barton’s chase got the worst start imaginable as they were 10 for three in the fourth over – Bronte Bess (2-40) and Sayed Ali doing the damage. Shan Needham (41) and Seiffert (33) put on 76 to keep the game alive, then Barton lost both quickly to Tom Mitch (3-22) and were 88 for five. Mansfield (2-26) kept the pressure on and a ninth-wicket stand of 39 between Tom Porter (24) and Kyle Lardner (22) only delayed the inevitable as Barton were bundled out for 180. Plymstock captain Mansfield said: “The Barton bowlers bowled in good areas without much luck. “A few dropped catches really helped us and 74 extras will always help. “Had the extras not have been as many, the result may have been very different. “Our bowlers bowled in good areas with young debutant Tom Mitch bowling superbly, with the addition of a couple big wickets at a stage in the game were the result was still in the balance. Plymstock 241 (S Mansfield 39, S Jordan 26, J Willams 27; T Drake 3-27, S Bowker 3-42), Barton 180 (S Needham 41, J Seiffert 33, T Porter 24; T Mitch 3-22, S Mansfield 2-26). TALENTED teenager Sam Taylor was among Bovey Tracey’s run getters in a 110-run win over Budleigh Salterton in the Euro Shopper Devon Cup. Keeper-batter Taylor – he played for Devon U14s last summer – made 51 off just 39 balls with two fours and three sixes in a Bovey total of 348 for seven. Taylor went in at 227 for five after Bovey’s batters had already assaulted the Budleigh bowling and put on 99 for the sixth wicket with captain for the day Matt Golding, who made 80. Budleigh had already been on the receiving end of some big hitting from Malcolm Lake (76) and Peter Bradley, who put on 88 for the first wicket, then 64 between Golding and Dan Green, whose 52 came rapidly off 33 balls with 38 in boundaries. Budleigh’s bowling figures weren’t pretty, although in the context of the game Matt Junk (3-57) and Joel Murphy (4-54) didn’t do so badly in their eight-over allocations. Bovey were a bit short of 1st XI bowling, which meant Budleigh were able to join in the run fest up to a point. Spinners Toby Codd (3-26) and Golding (1-32) used up 15 overs economically, which meant Bovey were always in control. An 82-run stand between Junk (50) and Elliot Rice (26) got Budleigh going before the Bovey spinners slowed things up. Rob Craze (70) and Adam Jones (42) put on 114 unbroken for the sixth wicket as Budleigh reached a respectable 238 for five in reply. Devon all-rounder Golding, standing in for unavailable skipper Sam Hickinbottom, said: “It was a good, all-round performance and good to get through to the next round. “there were lots of contributions with the bat and Sam Taylor made an excellent 50. Budleigh skipper Murphy said he didn’t like losing at the best of times, but felt there were reasons to be cheerful as well. “At one stage we were facing 450 on the board when Lake was in full cry so we did well to peg them back. “A number of our younger players like Tom Oxland, like Ed Doble and Adam Jones all got good experience of cricket at another level. 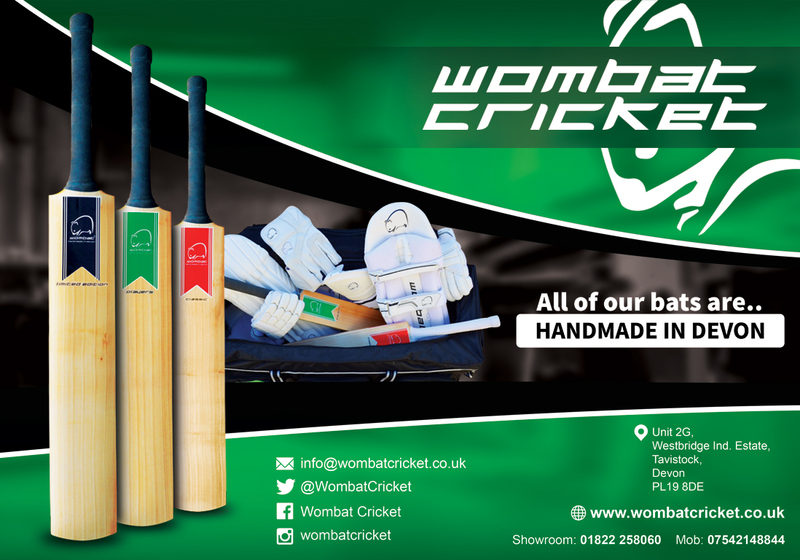 “From a practical point of view Rob Craze showed what a good batsman he is and Matt Junk is getting into a good rhythm with bat and ball, which will be good for us in the league. 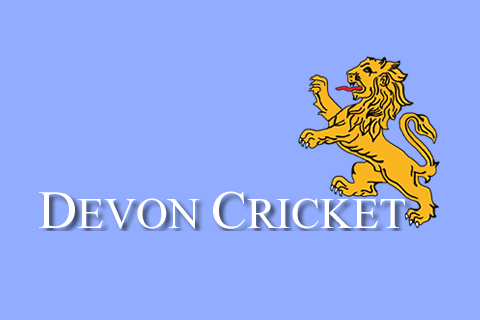 Bovey Tracey 348-7 (M Lake 76, M Golding 80, D Green 52, S Taylor 51, P Bradley 36; J Murphy 4-58, M Junk 3-570, Budleigh 238-5 (M Junk 50, E Rice 26, R Craze 70, A Jones 42; T Codd 3-26).